Product categories of Wine Bottle Coolers, we are specialized manufacturers from China, Wine Bottle Coolers, Insulated Wine Bottle Coolers suppliers/factory, wholesale high-quality products of Stripe Wine Holders R & D and manufacturing, we have the perfect after-sales service and technical support. Look forward to your cooperation! Go outside for picnic,you may like to drink wine,how to keep cool and the bottle do not crash ? The Wine Bottle Coolers can do it . 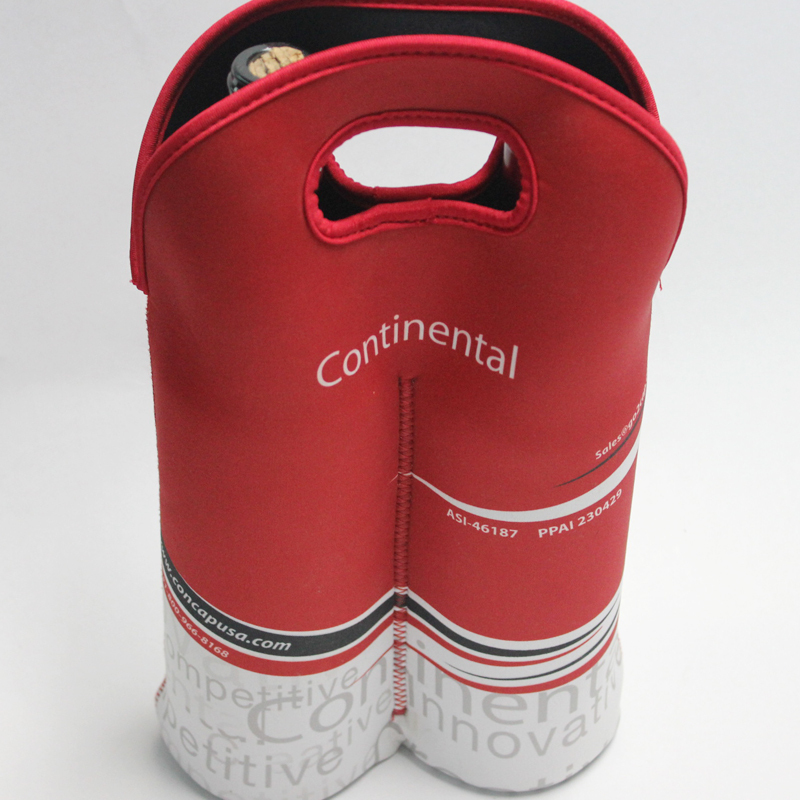 Wine bottle totes made of neoprene rubber material , environment materail can pass SGS test . The advantage of neoprene wine bottle coolies is waterproof and lightweight , flexible and durable . Singal wine bottle holders can pack one wine bottle , double wine bottle cooler bags for two bottles . Also 4 packs ,six packs . Also the wine coolers easy can be your brand . Print your brand logo or full color printing on wine bottle covers , no fade and washable . Low moq of neoprene wine bottle sleeves is acceptable .